Thank you to Food Democracy Now! and The Detox Project for your incredible investigation! We’ve all been there. Maybe you had a medical appointment that ran long or the machine was broken when you went to pay. The result is the same: a big, ugly ticket on your windshield, telling you to pay up — or else. It’s one thing when you get a ticket on city streets. But it’s quite another when it happens on one of thousands of privately owned parking lots across the country. The former has clear rules and regulations about what’s allowed and how to fight them. The latter? Not so much. Watch CBC’s Marketplace investigation on public and private parking tickets on TV at 10:30 a.m. (11 a.m. NT) on Sunday or online here. Privately owned parking is big business. Toronto-based Precise ParkLink takes in more than $600 million annually, including at lots placed outside hospitals and medical facilities. Another, Impark, has grown rapidly since being founded in Vancouver in 1962. The company now runs more than 400,000 parking spots across 3,400 lots in 100 cities throughout Canada and the United States. 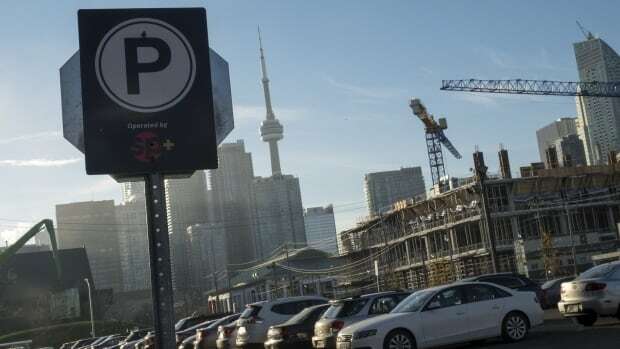 Companies like Impark, ParkLink and others make money by charging drivers to park on private property, often slapping large invoices on the windshields of any car they deem to have broken their rules. Those invoices look and feel much like the legal tickets that parking enforcement officers leave on cars parked on city streets — with one subtle but important difference: they’re not tickets. 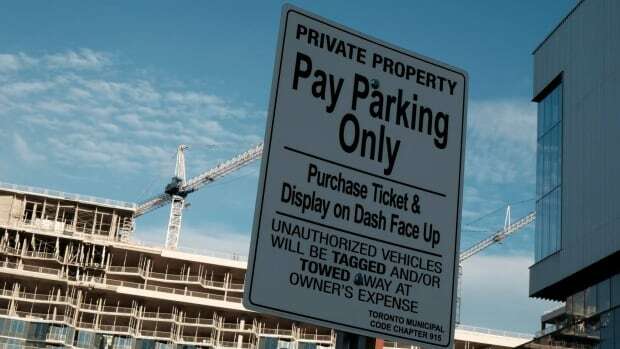 “It’s not a parking ticket,” Toronto lawyer John Weingust says. But if you get one, “you can throw it in the garbage,” he confidently declares. Parking tickets from a municipality are enforceable mainly because city hall has the power to put real penalties on you for not paying. For example, drivers looking to renew a licence or a vehicle registration will find they can’t do so if they have unpaid parking tickets on their account — never mind what they’ll do to your credit history. But private tickets, Weingust says, have no such power. That’s not what one major parking company tells its customers. CBC’s Marketplace listened in while one ParkLink customer called the company to complain about a ticket. The driver had paid $8 to park for a full day, but came out to the car to find an invoice for almost $70 for failing to properly display the receipt. Despite having a paid receipt, the company rejected the appeal and warned of dire consequences for not paying. The company also said they require a $10 fee from anyone wishing to dispute a ticket, which the customer didn’t think was fair. “It’ll go to a collection agency and then they have the authority to tow your vehicle,” the voice on the phone warned. That’s just not true, Weingust says. The bill may indeed get sent to a collections agency, but there, too, there’s no danger to your credit history for refusing to pay. That would require the parking company or collections agency to go to small claims court, which involves paying a minimum fee of about $50 to get a judgment — something they’re unlikely to try to do for a relatively small sum, much less be successful in, Weingust advises. No one disputes that companies like ParkLink provide a legitimate service by charging people to park on their lots. But murky dispute-resolution processes and misleading claims about consequences are a reason for concern. CBC reached out to ParkLink to discuss their policies on how they enforce unpaid fees, but they declined the request to appear on camera. CBC also put that question to credit-monitoring firm Equifax and they confirm an unpaid parking ticket — as long as it’s from a private lot — won’t ruin your credit history. “Equifax Canada does not accept parking ticket fines from collection agencies,” spokesman Tom Carroll says. The main issue with private tickets versus official ones, Weingust says, is that while the latter will make it very clear how to pay the fee or dispute the charges and the former often do no such thing.